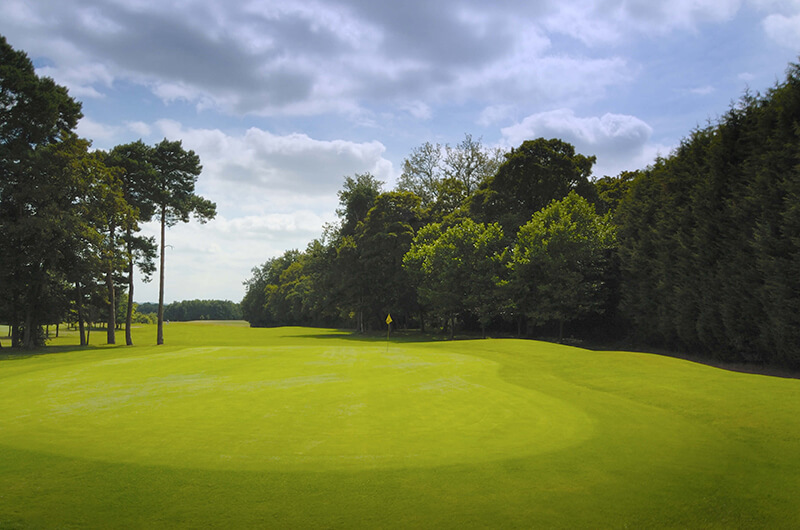 Set Amidst the beautiful Surrey countryside, Sutton Green Golf Club is a Par 71, 6433 yard championship parkland golf course. Gentle slopes and lakes offer an exciting challenge to golfers of all standards. The course provides an excellent challenge to the skills of low and high handicap players alike. Built to championship standards with USGA greens and tees, lush green fairways provide the perfect lie to find the well protected greens. The impeccable course was co-designed by former Womens World Number 1 Dame Laura Davies and course designer David Walker. Since opening, the club has provided members and visitors with the ideal environment to enjoy their golf. The course offers complete fairway irrigation, stunning tees and greens which are maintained ensuring the highest standard. Four long par 5's, are complimented with five exciting par 3's and 9 par 4's which require a well planned course management. The course is designed with two loops of nine holes, with both the 10th tee and 18th green nestling in front of the clubhouse terrace. Please view the stunning course photo's in the course gallary section, the fly over video and the course map and hole description to sample the fantastic course!